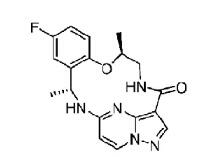 PF 4618433 is an inhibitor of proline-rich tyrosine kinase 2 (PYK2) and focal adhesion kinase (FAK). 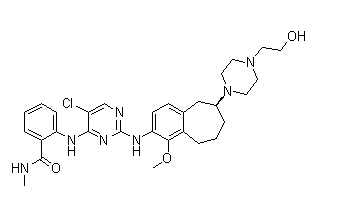 Y11 is a small molecule inhibitor targeting Y397 site of FAK. PF-562271 (besylate) is a potent, ATP-competitive, reversible inhibitor of FAK and Pyk2 kinase with IC50 of 1.5 nM and 13 nM, and has > 100-fold selectivity against other protein kinases, except for some CDKs. 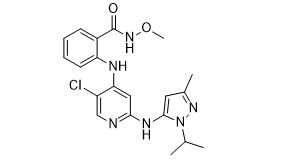 GSK2256098, also known as GTPL7939, is a focal adhesion kinase-1 (FAK) inhibitor with potential antiangiogenic and antineoplastic activities. Defactinib is a novel FAK inhibitor, which inhibits FAK phosphorylation at the Tyr397 site in a time- and dose-dependent manner. 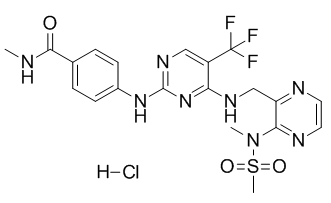 Defactinib, also known as VS-6063 and PF-04554878, is an orally bioavailable, small-molecule focal adhesion kinase (FAK) inhibitor with potential antiangiogenic and antineoplastic activities. Defactinib Hcl (VS-6063; PF-04554878) is a potent FAK phosphorylation inhibitor; overcomes YB-1–mediated paclitaxel resistance by an AKT-dependent pathway. 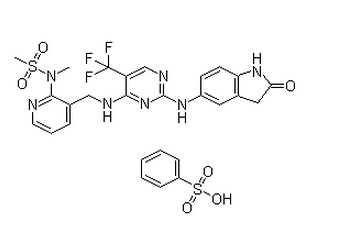 PND-1186 is a potent FAK inhibitor with IC50 of 1.5 nM.